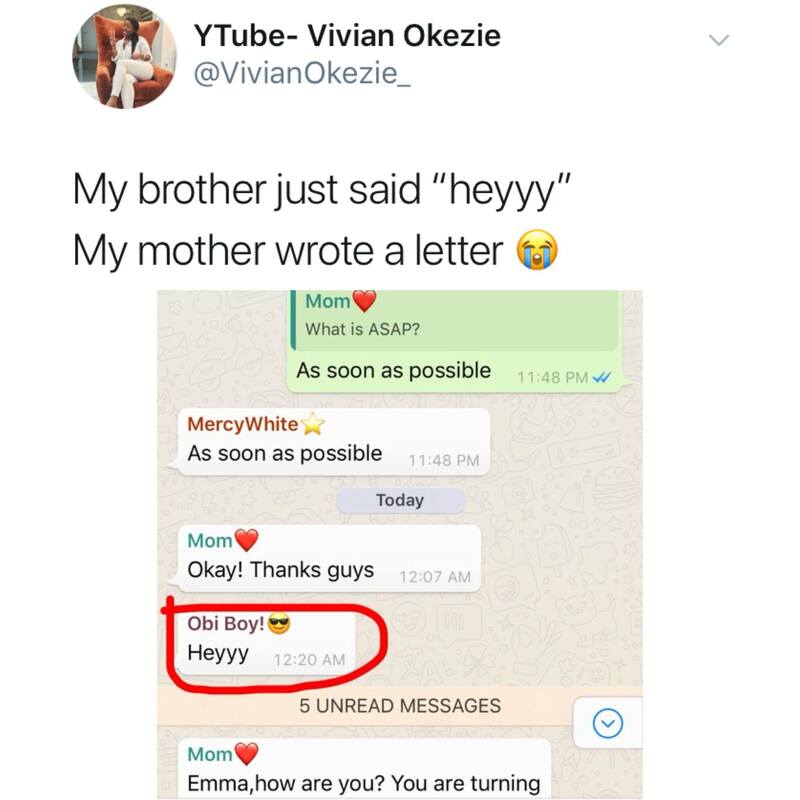 #TSRWhatYouGonTextBack: Now, anyone who has an African mother—myself included—probably doesn’t see anything out of the ordinary about this mother’s response to her son saying “hey” in their family group chat. Y’all, mums wasn’t here for this “hey” business and responded with a whole essay that included a prompt, thesis, and conclusion!!! What do y’all think about mum’s response #Roommates? What would you text back if your mum hit you “come correct” for saying “hey”?